The hermit, the beast & the quest for a thriving life. I’m in the water. A set of big Atlantic waves approaches. I have to face them. The first one is kind of okay. I roll over and manage to take my board along with me. I get up and there’s the second. Duck down, let your board go, dive, get out of the wave and get on your board as quickly as you can. Then the third one comes and it is nothing less then a gigantic wall. I turn around and try to paddle as fast as I can. But I’m too slow, the wave is too high, or too steep. Or both. Nevertheless, it takes me and for a moment I think I can manage to stand up. But then it smacks me down, two meters at least. I go underwater, tumble, a gulp of salt water. My board is following me, and in a reflex I hold my hands above my head to protect it from the wooden plank to hit me. I finally struggle to get up and get out. These waves are too big for me. I feel broken, my ribs hurt. It feels I just almost died, but it doesn’t matter that much. What matters is that i feel.. alive. No time for thoughts, time disappears at all, I’m in a lonely battle with myself to survive the breaking waves. We are one a three week expedition through southern Europe. Four guys on a quest for a thriving lifestyle. What is it? How do we live it? What is the difference between thrive and thrill? We hike the Mont Blanc glaciers, we ride the Pyrenees mountains on our bikes. We jump from cliffs in rivers, we dance with new friends. Burning fire. We’re camping out wild, we conquer the Picos de Europa. We surf the Atlantic. All the while we are in awe of nature. We feel grateful. We have conversations about work and life, small talk and deep stuff. 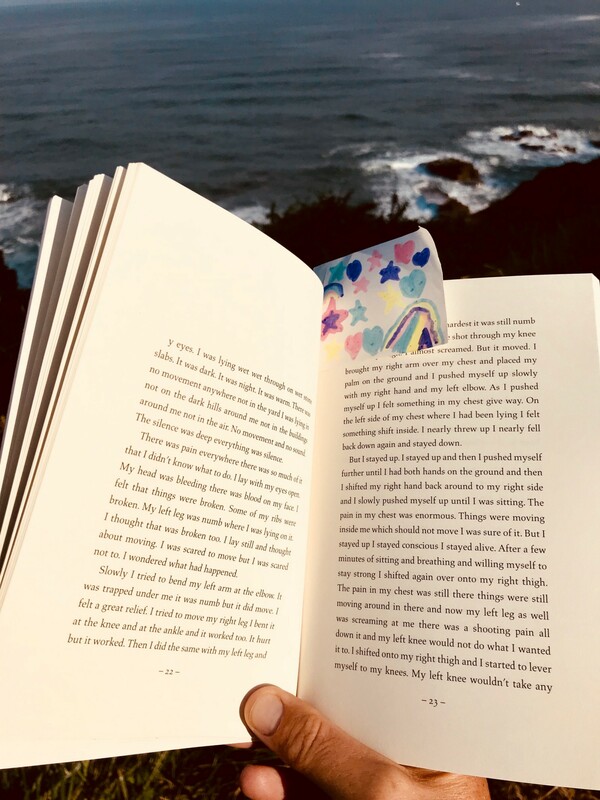 I’m also reading a book. 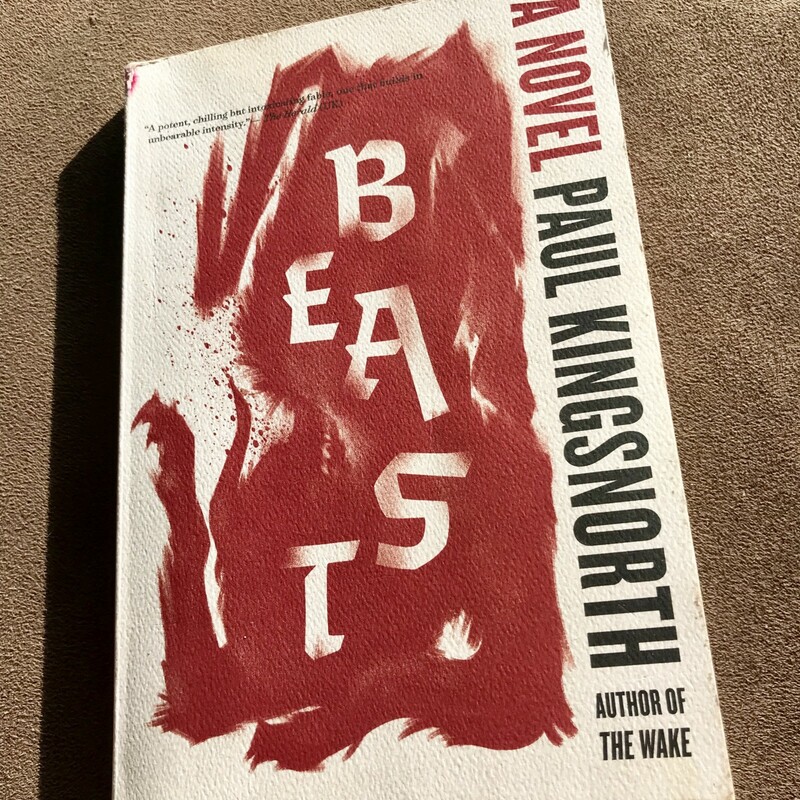 It’s called Beast, and it is written by Paul Kingsnorth, perhaps known by you from The Dark Mountain Manifesto, The Wake, and Confessions of a Recovering Environmentalist. The story is about a hermit — Edward Buckmaster — who left his old life behind — including his wife and his infant daughter. He has been living in a semi-ruined farmhouse on an empty moor for thirteen months by now. The man walked away and is looking for answers, since in his old life he became entwined in wanting, which took him away from ‘the stillness that is everything’. He is clearly tired of life in the city full of small minded people, ‘the encircling, from the furious thoughts and opinions, the views and the positions soldered together with impatience and anger’, and the ‘screen-dumb people pacing out the slow suicide of the West’. The hermit seeks the presence of something that does not know time. Maybe the solitary lifestyle — close to nature, no distraction, only the wind to talk to — will provide the insight, the thing he’s longing for. He bathes in the cold river, he rations himself on food, drinks only water. He goes back to the bare basics. But as he struggles to withstand heavy rains and storms, and finally gets hit by the imploding roof and gets severely wounded, he starts having hallucinations, and becomes obsessed by a strange beast..
During his quest to find back this beast, which turns out to be a giant black cat, Buckmaster — who is also the narrator of the story — goes constantly in out of a dream state, all the while leaving out more and more capitals and punctuation in his sentences. The whole read becomes quite confusing and blurry, but sometimes in the midst of this blurriness he has the most vivid and clear insights. Like how the meaning of life is to be found in the here and now, we just have to see it: ‘we blunder about with our heads in the clouds and our hearts in outer space and here is life going on amongst the woven grasses and it doesn’t care about us and it will be going on long after we have burnt ourselves out’. ‘We head out because the emptiness negates us. We leave the cities and we go to the wild high places to be dissolved and to be small. We live and die at once, the topsoil is washed away and the rock is exposed and it is not possible to play the games anymore. Now I am exposed rock. What do I see?’. That there is no escape? A thriving life, what does it mean? After reading Beast, I come to realize that when the mind is in this constant surge for understanding, when there’s this restless search for the meaning of life, the eternal occupation of it by thoughts, ideas, concepts, opinions, you probably won’t find answers, at least never sufficiently. Seek and ye shall not find. Now back to our trip. We’re at a semi-ruined farmhouse on a hill, having a design thinking group session about nature and thrive-ability. The task is to write down words on paper and them share them with each other. I’m thinking hard and long and throw out words, some of them sounding cliché. One of the participants — a Spanish climber and mountain guide — doesn’t write down anything. He explains: words cannot describe my experience of life. He might well be right I realize. It’s late. The sun is setting. 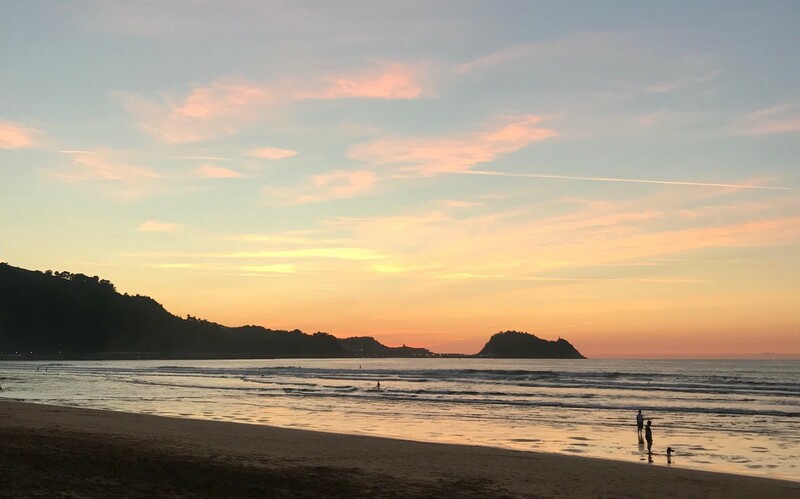 I dive back into the ocean, determined to catch waves this time, and I see the sun disappear behind the rocky landscape. The sky colours pink and orange. It’s all good. It’s all fine. It’s all crazy. Let the mystery be. I’m alive. There comes the wave.